SAP Business One is a powerful, scalable business management system which integrates all core business functions across your entire company. It provides managers with access to critical real-time data, enabling you to make quicker, better decisions to help grow your business. One complete solution: manage your core business functions, including financials, sales, customer relationship management (CRM), inventory and operations. As the digital economy takes over the world, distributors need to change to survive; developing new capabilities that can drive competitiveness and growth. Traditional distribution is changing as it is challenged by organizations in the e-commerce space. For example, as Amazon continues to invest in their same-day delivery model, an auto mechanic could order a part online and get it delivered the same day, rather than contacting their local distributor. In addition to the increasing expectations of their customers, distribution organizations need to address the changing needs of their employees, specifically, in this example, their sales force. Serving your sales force with modern tools will become more critical as more millennials join your team. In the past, it was standard procedure for a sales rep to visit a customer, receive the order, and then fax/email it to customer service team for processing. A modern sales force is expected to have the ability to enter their order directly on their mobile device without any processing delays. Distributors need to address the changing needs of their employees. The processing of real-time data and applying predictive analytics tools brings you closer to achieving the level of truly optimal forecasting. Current ERP solutions are modernizing. They are bringing data processing closer to the actual transaction by placing devices in the hands of those who are executing the transaction. From the field to the warehouse, users are entering and accessing the data real-time using mobile devices. Dynamics 365 helps organizations move closer to this real-time data and order processing nirvana by delivering full ERP functionality on the mobile devices in the field and by delivering Power BI dashboards to showcase key business data. Distributors should no longer be frustrated by the minutes, hours or in some cases, even days it used to take due to delayed processing of transactions. What Business Outcomes Should Distribution Organizations look for? Inventory Management and Demand Planning. Meeting customer order fulfillment rates, while maintaining lower inventory levels, is a key profitability measure for any type of Distribution company. This will have an immediate impact in the bottom line. 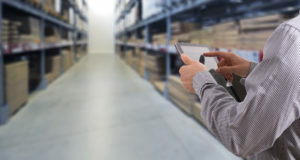 Demand planning tools, included in Dynamics 365, will ensure the right amount of inventory is stocked in the right locations to meet customer order fulfillment rates. Both ERP solutions are highly customizable, available in and adaptable to many languages and currencies used around the world. The two solutions can also be employed in a central location or across diverse satellite locations and are designed to grow as a business grows. Their industry-specific functionality can assure compliance with local and regional requirements. In short, both solutions could rightly be described as comprehensive and well equipped to manage complex requirements of supply chain and inventory. So, what is the difference? Is one better than the other for your particular organization? It really comes down to a question of the size of your organization and how well the solution aligns with your goals and projected growth. Is your business small to mid-size or larger? Microsoft Dynamics NAV is marketed toward small to mid-size companies, those generating between 5 and 500 million dollars and having some international components. Smaller businesses may well be better able to afford Dynamics NAV and therefore compete technologically with organizations many times their size. As the business grows, the ability to scale and keep pace with its organizational goals is crucial, and NAV is designed to do just that. The ease of customization and ability to scale make Dynamics NAV an excellent choice for many small to mid-size organizations. Dynamics AX (now called Dynamics 365 for Operations), on the other hand, is designed for larger, enterprise-class organizations with a broader international presence. The unique challenges of these larger organizations which may deploy across continents, languages, and currencies can be well met by Dynamics AX (Dynamics 365). Again, both solutions are designed to scale and grow along with your organization, but one of the main differences between these solutions is that AX/365 is better equipped to address the specific size and scale challenges of large enterprise organizations. Do you have dedicated resources? Another consideration is that AX/365 is somewhat more complicated than NAV. Implementation will be more complex and time-consuming requiring more decisions and demanding excellent project management in order to be successful. Dynamics NAV implementations may require only part-time project managers and smaller implementation teams. After installation, Dynamics AX/365 will often require dedicated technical resources to manage the solution, while Dynamics NAV will not. Naturally, because of the increased complexity, Dynamics AX/365 will cost more to implement and run than will Dynamics NAV. Do you have global operations? Dynamics AX/365 is better for managing large-scale global operations. This will prove significant for large manufacturers who need to view inventory in various international locations and have visibility into all areas of a large organization. Dynamics NAV is a very popular, effective ERP solution for growing international businesses that don’t yet have such a complicated organizational structure. Both Dynamics NAV and AX/365 provide your organization with excellent business agility, intelligence, and analytics. The two ERP solutions, Dynamics AX (now Dynamics 365) as well as Dynamics NAV are designed specifically for the challenge of adapting quickly to changing business circumstances and growth. Both solutions are available as hosted ERP solutions or a combination of hosted and on-premises solutions. Choosing the cloud-hosted model further increases the agility and breadth of both. Although their capabilities are similar, Dynamics AX/365 and Dynamics NAV were designed for different organizational types, structures, and sizes. One is not better than the other; they are simply intended to be matched with corresponding business complexity and size. Investing in an ERP system is a big decision, and the first step is having a clear vision of your company’s goals, strategies, and structure. Your Microsoft Dynamics partner should be able to help you determine which solution will best suit your organization. What to expect when you are implementing Dynamics GP! 5 steps to success! Successful ERP implementation projects don’t just happen and they are not merely the result of good luck. They are the product of good design, proper planning and project management, and the hard work of a dedicated team of professionals. All too often, the initial decision for which ERP system will be selected is far too focused on price, and the end results of the implementation project get lost in the negotiation. The initial enthusiasm from saving some small percentage of the total cost is soon swamped by the realization that the technology partner you have selected is unable to deliver on their commitment. There are many ways to approach the implementation of your new accounting system, and not surprisingly, some approaches work far better than others. Choices can include: slavishly mimicking the “demo company”, “following what worked at the last implementation we did”, “I read about this approach in a book” and other similar methods. Not surprisingly, these approaches produce exactly the results would expect. Analyze, Plan and Understand – Start at the beginning. The first step in the implementation process should begin with a thorough review of your business requirements and processes, to identify what is working well and which aspects of your business that may need improvement and refinement. These business requirements will then be mapped into your project plan, which will drive the remainder of the implementation. Design, Develop and Build – Using the project plan produced in Step 1, your implementation team will next proceed to build your pilot system. This is used to validate those business processes and system functionality detailed in the project plan. Train, Test and Accept – Building on the lessons learned in the pilot system and using test data migrated from your previous system, Step 3 includes teaching your staff the best practices and procedures to deliver the required functionality. Results from this testing and training period need to be reviewed and a sign-off should be secured, stating that the progress made to date is acceptable and in line with the overall goals of the implementation. Implement and Go-Live – Working from the knowledge obtained in Steps 2 and 3, your new accounting system should now be complete. Your legacy data is migrated a final time to the new system and all of the experience and resources of the project team are on-site and ready to make the final transition to the new system. Ongoing Support – With the successful launch of your new system, your technology partner should now continue to provide on-going support. This can be delivered through a help-desk, along with the application of any new updates. Many consulting companies cal also provide free webinars and user group sessions. As these 5 implementation steps are carried out, beginning with a broad based and all-encompassing perspective of both your internal and external operating environments, the focus of the implementation project is then continuously narrowed to produce exactly the system that is required to meet and exceed the business objectives that have been defined. Project Management – All aspects of the implementation must be tracked by the Project Manager, whose responsibilities include task assignments, resource availability, project documentation, budget and timeline oversight, and communication among all of the project team members. Systems Support – Before your project can get under way, a thorough review of the existing infrastructure must be completed. This review of the current systems infrastructure will ensure that the optimum delivery of data and analysis is met. Systems support also provides specific recommendations for the required hardware and software infrastructure. Consulting Services – Be sure to focus on all of the aspects of your business, including Business Process Review, recommendations for Best Practices, detailed delivery of training and procedures, testing of the pilot and production systems, development of custom reports. A complete examination of your business environment my identify additional opportunities for improvements. Development Services – Creation, testing and support for custom enhancements and applications, coordination of integrations to existing legacy systems and planned intefaces to other Line of Business systems, custom reporting, dashboards and internal web-sites. The successful implementation of your new ERP system will not be the result of luck or chance. Managed properly, it should be the culmination of the design of the implementation approach, and the dedication and effort of the project team members. Be sure to select an implementation partner that follows an implementation approach that is based on best practices and their proven results, utilizing a methodology that is rooted in deep experience and knowledge of how to be successful. 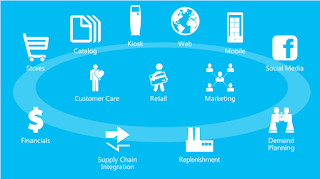 Why Microsoft Dynamics AX Retail Module? When Microsoft structures its software, the focus is on how you, the business professional, are better able to meet your customer’s needs, as well as streamline processes for the end user. 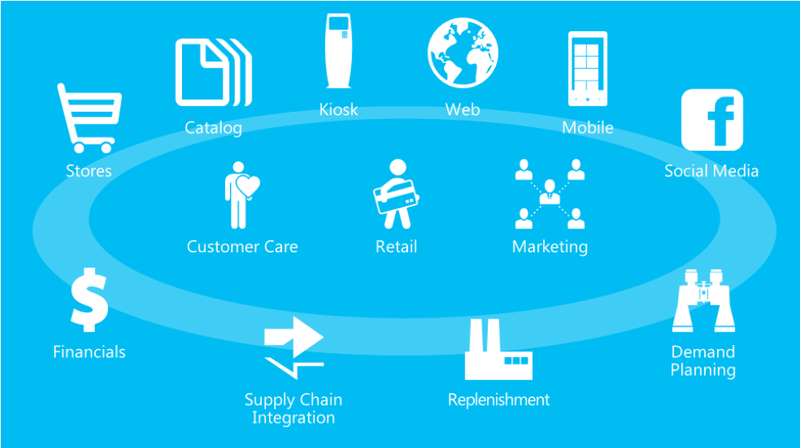 Microsoft Dynamics AX 2012’s retail module offers users the capability to fully manage brick-and-mortar and on-line stores, point-of-sale registers, products and product catalogs. It also provides numerous out-of-the box reports and inquiry functions so your management team can access the information most valuable to them. Among many of the features that set Microsoft Dynamics AX 2012 apart from the competition is fact that the retail module provides a single run-time engine for commerce. This feature allows for maximum control and efficiency across all channels whether they be in-store or online. Additionally, catalogs can be managed to a greater degree with unlimited assortments, categories, and pricing functionality which allows for greater profitability. Retail users also have the ability to run inquiries and reports that offer insight into those product classes. Customers visiting the on-line store will be amazed at the detailed product descriptions and custom content. In-store, mobile POS device integration facilitates customer service and interaction. Also, since there is a single run-time engine for commerce, online shops are therefore fully integrated with brick-and-mortar stores. This, in turn, provides your customers with a greater online shopping experience by being able to place an order online and pick up the item in-store. Additionally, Point-of-sale terminals can be centrally managed at the store level, regionally and globally. The POS user interface is easily customizable and offers powerful capabilities to allow users to have the functionality they desire to provide better customer service. As the POS registers are centrally managed, the Microsoft Dynamics AX 2012 Retail module contains an ERP data model which delivers accurate and timely data. In addition, data replication techniques in the retail module simplify updating data across organizations. As any businesses’ focus is on its customers, the retail functionality also allows its users to identify trends, provide personalized service, track demographic data, and share promotions through social sites. The biggest takeaway is that the Retail application is integrated with core Microsoft Dynamics AX 2012. Most POS systems are standalone and require an integration to be built. The retail module is a fully-integrated online storefront right out-of-the-box and can also be integrated with other Microsoft products such as Commerce Services, Payment Services and Sites services, which makes Microsoft Dynamics AX 2012 the prominent ERP answer to your business needs. This blog post references the Microsoft Dynamic Retailer white paper which can be downloaded at http://www.microsoft.com/en-us/dynamics/retail.aspx . This post written by Robin Ellsworth, Dynamics AX Application Consultant for Tridea Partners. Tridea is a leading Microsoft Dynamics AX provider. @abdulwahab. Picture Window theme. Powered by Blogger.